Paper reports pair were among those pushing President to denounce Nazis and white supremacists in Charlottesville 'more forcefully'. The New York Times White House correspondent Glenn Thrush tweeted that Jared and Ivanka Kushner sought a stronger rebuke of the white supremacist side of the events in Charlottesville in the wake of the President’s press conference at Trump Tower, in which Trump defended his recent statements about the protests and violence over the weekend, reports Breitbart. “You look at both sides. I think there is blame on both on both sides. I have no doubt about it … if you reported it accurately, you would say that,” Trump answered a nonplussed media. Trump also condemned what he called the “alt-left” demonstrators who charged into the crowd of alt-right protesters without a protest permit. 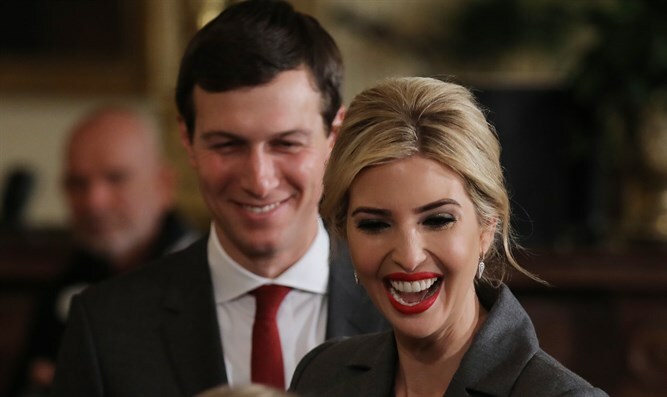 Afterwards, Thrush tweeted that Jared and Ivanka had called on Trump “to more forcefully denounce neo-Nazis, KKK and white nationalists over the weekend,” leading some to speculate that Thrush's source was the couple themselves.